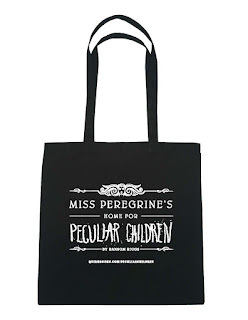 Books and Sensibility: Miss Peregrine's Home for Peculiar Children Tote Bag Giveaway ! 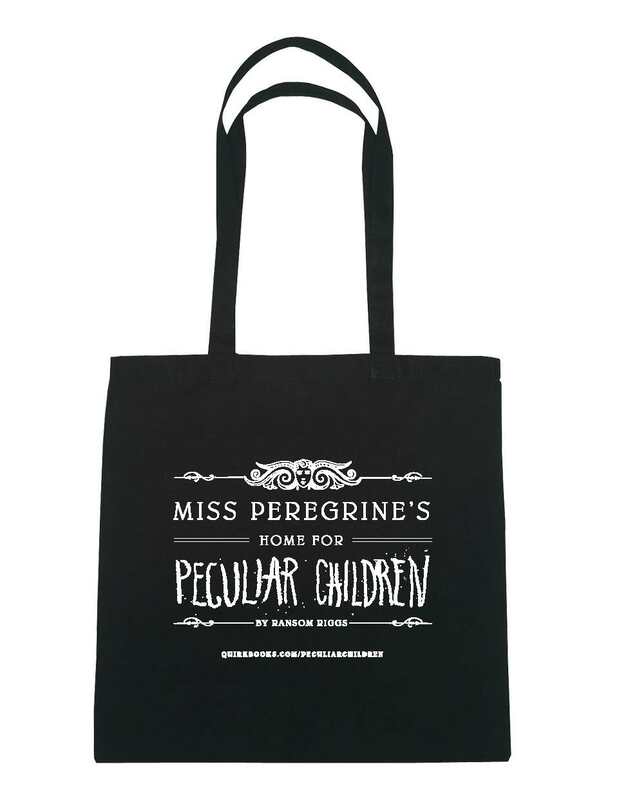 Miss Peregrine's Home for Peculiar Children Tote Bag Giveaway ! Can you believe it's been 5 years since Ms. Peregrine's Home for Peculiar Children came out ? And that the film is coming out t his year ? 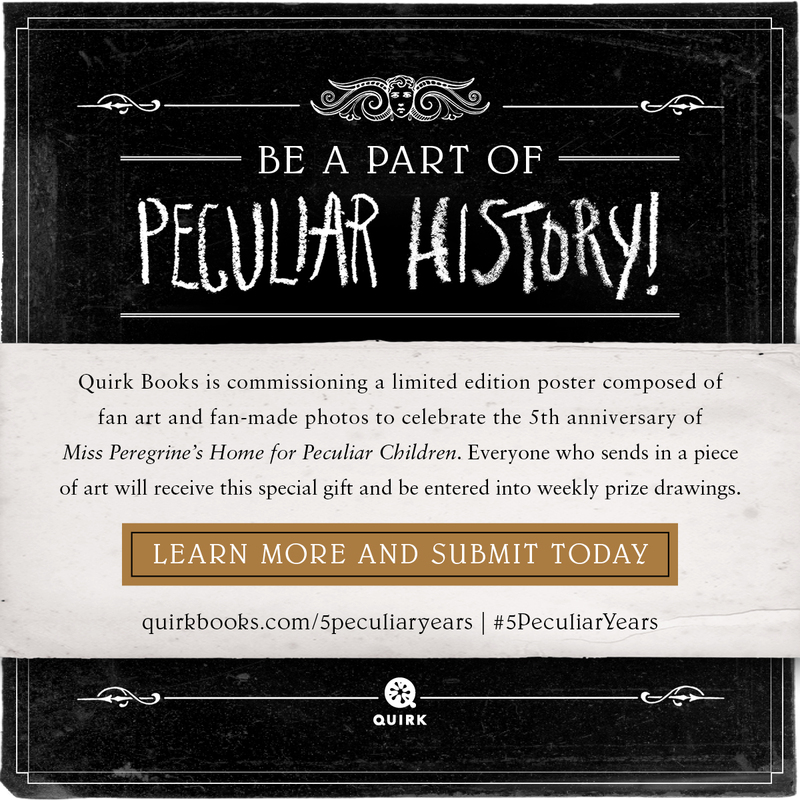 To celebrate the 5th anniversary, Quirk is letting us host a giveaway this lovely Miss Peregrine's tote bag ! Here's to #5PeculiarYears. 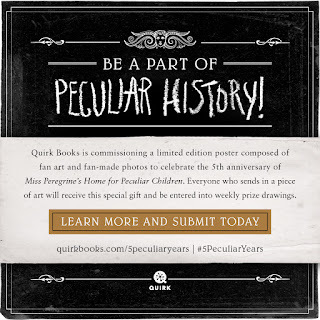 Also check out the contest Quirk is running for fans of the series over at http://www.quirkbooks.com/5PeculiarYears. All you need to do is submit your Miss Peregrine fan art, cosplay, shelfies, or selfies to be entered to win a number of prizes ! And if you haven't seen it already check out the trailer for Miss Peregrine's !